Mother of pearl pendant painted by hand. 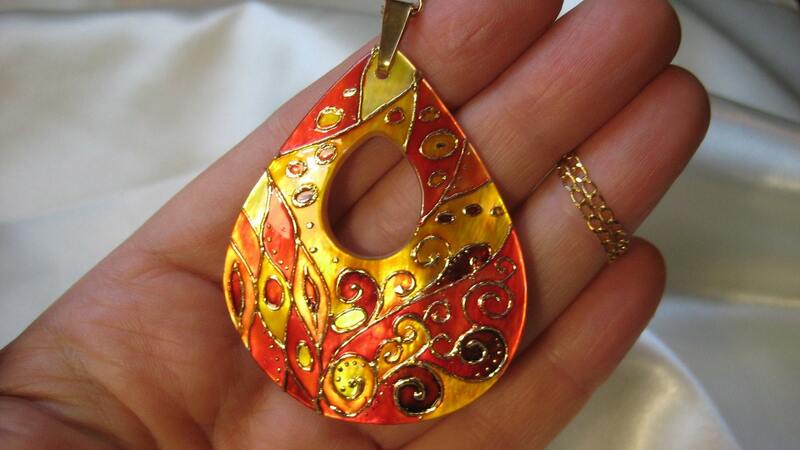 Pendant inspired by one of my favorite artists of all time: Gustave Klimt. Like a lot of people, I love the artwork of Gustav Klimt. Eventually I started to produce little homages to his pieces, like this pendant. Pendant was coated with several layers of sparkling clear sealer for added protection, durabilty and a high gloss shine.Pendant is waterproof! Folksy :: Buy "Pearl Blue and Silver Bracelet"